Does The Trailer 7 Pin Connector Charge Trailer Battery and provide Power Trailer? Because, with the trailer battery disconnect, truck running, trailer wire connected to truck, trailer power jack has NO power and either does trailer (battery switch is "on"). Why I ask, my friends truck, F250 2016, powered the jack. Mine 2019. 2018 F150 will not do it either. How do I know the truck is charging trailer system? 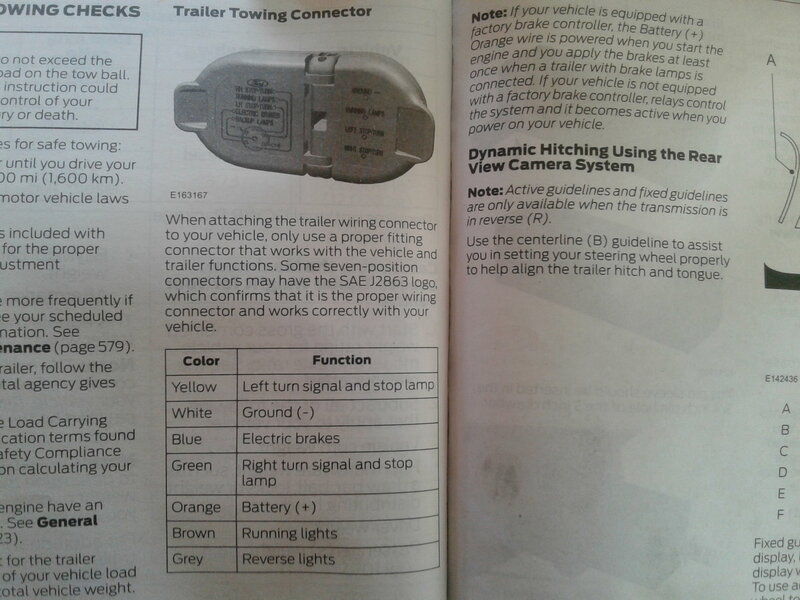 I know the connector has a Orange battery (+) wire, see attached picture (manual). Does this charge the trailer battery? There is no fuse in the "trailer tow battery charge relay, Is this only for aftermarket systems? Not an expert but have read several discussions on this here. If your f150 works thr same as a Super Duty the truck first must sence there is a trailer, then it will not supply battery power till after the trucks brakes have been applied. I do not know if the truck will supply battery power if it doesnt sence a trailer battery. It might not. The trailer battery charge circuit is a low AMPERAGE circuit. Your trailer jack should be connected to the trailer battery since it requires high amperage when under load. I have not hooked up anything requiring AUX power .... But I have read quite a few threads on this for knowledge incase I need. So I have no current issue. 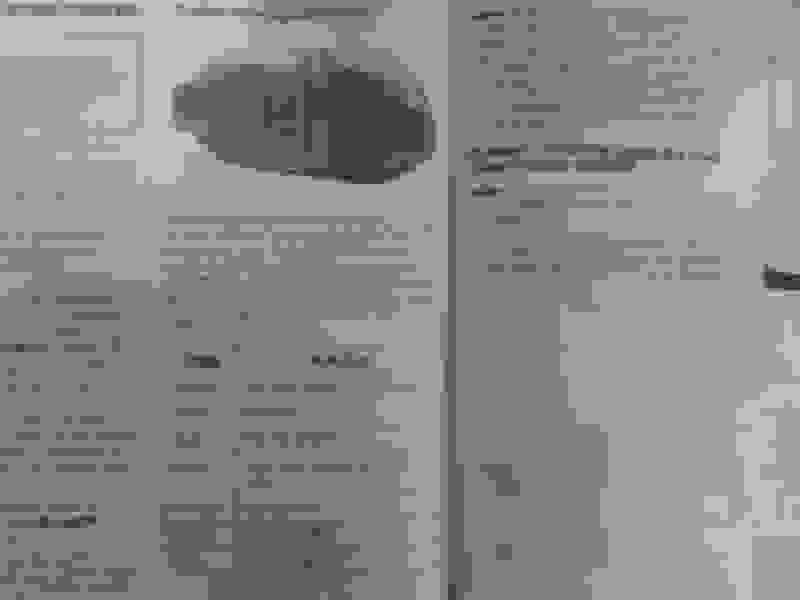 But, in all the reading I find it completely confusing. For some it seems everything works fine right off the lot. For others, they read and learn about hooking up trailer wiring and appling the brake to activate the system (with the door closed apparently). Others have had problems with a wiring harness under truck not being seated properly, a fuse missing or in the wrong location, and ...... In one thread I read where a guy was missing a complete section of trailer wiring harness under the truck. From everything I've read ...... If I needed to use aux power....... I think I would hook it up and see if it works. If it does great. If not I would try activating by applying the brakes with the door shut. 1). Run a wire (6 or 8 gauge) directly from the battery to the AUX power pin (cutting the factory wire and connecting my wire to the pin). ..... Of course with an in-line 30 or 40 amp circuit breaker. I like circuit breakers cause u can reset without keeping up with fuses. 2). Instead of running from battery I could hook up to upfitter 5 or 6 and run to AUX power pin. It sounds like for most that need more power for a power jack or other source, that either 1) or 2) are required. What I have not seen, is a factory amp/amperage spec for the AUX power pin so that someone could make an easy determination. It seems that most have done a fair amount of trial and error to determine if a new power source for the AUX pin is needed. I simply bypassed my trailer module by splicing in a 6ga wire with an in-line switch from the red wire which is on the bottom connector of the module to the orange wire on top. I did this so it works as factory with the switch open then when closed I can supply power to my removable slip tank pump that I have wired to a 7 way trailer plug in my bed. Works great and never had an issue, of course my aux lift pump is only a small 8gpm unit that has a FLA of 12 amps. There’s simply way to many times I need to power something with that 12v wire, this for sure wasn’t one of fords better moves. As smart as the computer is it will not charge my house batteries on my trailer or even keep them topped off. When I tow with a buddies 17 L5P or my old 07 Cummins the batteries stay charged 100%. So far only one of the “true” things I dislike about this truck. 4 . A well rounded view of what we are dealing with and solutions, thank you again. My '17 will not charge while the truck is in park. It will charge (and operate the jack) if in neutral or drive. Yes, took awhile to figure that out. Also discovered that if your trailer has separate brake lights and turn signals, the truck won't recognize to turn on the 5 flash lane change or the charge circuit either.